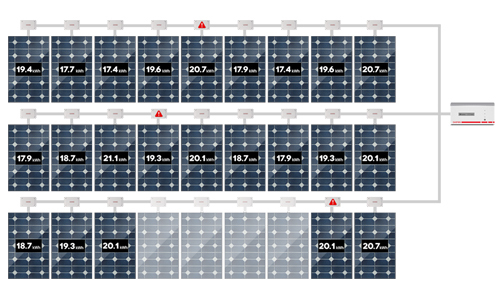 Darfon is dedicated to producing high-quality solar products. 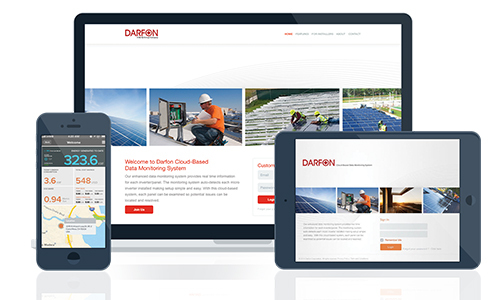 From its micro inverters to its web-based monitoring system and energy storage systems and hybrid inverters, Darfon believes in creating a solar power solution that is efficient and dependable, as well as, user-friendly. The H Series Hybrid Storage Systems integrate hybrid inverter, control panel, display panel, communication board and batteries into sturdy industrial racking enclosures. The H Series feature true hybrid designs where power sharing is possible with various power sources for a wide variety of applications. 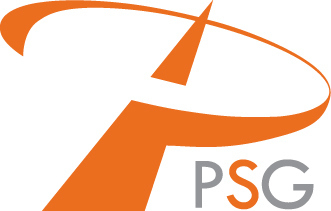 Conventional backup power supplies, like uninterrupted power supply, cannot handle solar power directly, and conventional solar inverters cannot directly store energy into batteries. 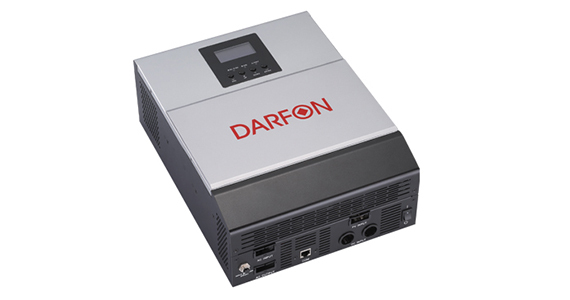 Darfon’s advanced hybrid storage systems solve both problems in one integrated package with direct solar DC input in conjunction with AC charging capabilities. Essential load circuits are connected to Darfon’s hybrid storage system. 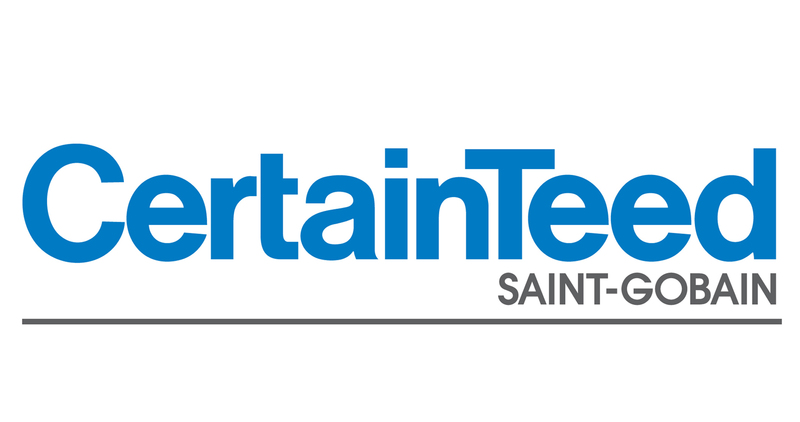 Power from solar panels, batteries and the utility are intelligently controlled by the system to supply power to the essential loads. 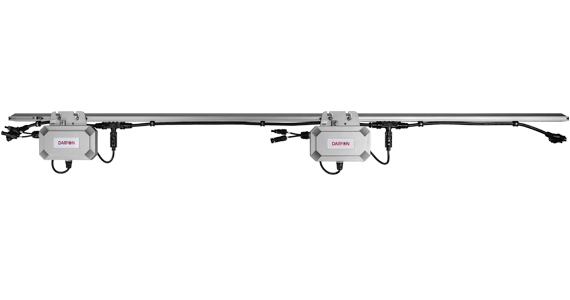 • The Darfon H5000 features a true hybrid design with power sharing between various power sources. 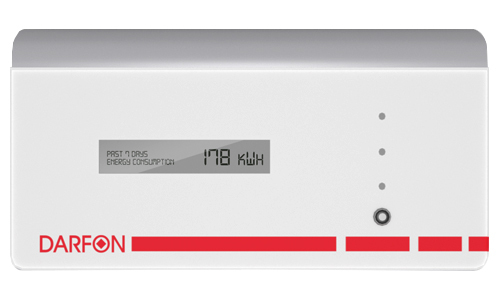 This hybrid inverter prioritizes the energy flow and direction from the batteries, PV modules and utility. The H5000 also comes with system monitoring and generator support. It was designed to accommodate both wall or rack mounting options. 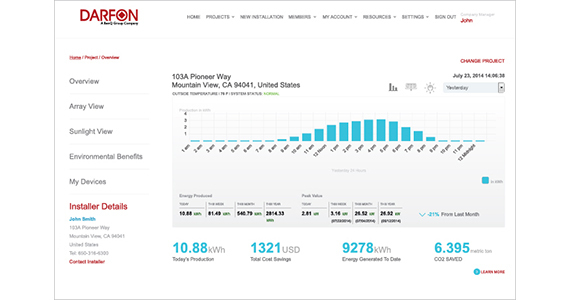 The H5000 Hybrid Inverter supports a wide range of applications, including off-grid, self-use, net-metering, backup and time-of-use optimization. Container/Cover Flame-retardant, polypropylene, UL 94 V-0/>28% L.O.I. 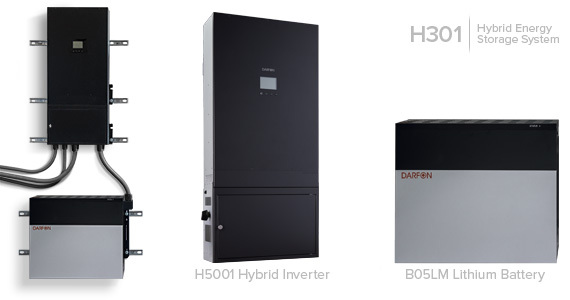 The Darfon H300 hybrid energy storage system is a wall-mountable pre-configured solution that consists of a H5000 hybrid inverter, distribution box, and 5kWh Lithium battery (LNMC). The is a solution for those with a limited budget, a light load to support or without much floor space. The distribution box is attached and prewired to the H5000, so there are only two products to mount. 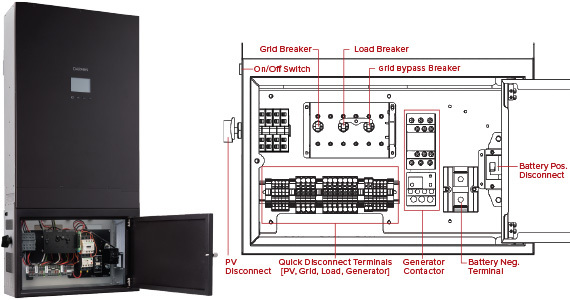 The distribution box includes quick disconnect terminals for AC, DC, and generator, AC breakers, PV disconnect, and battery connectors, making the system easy to install. If you have a limited budget, a light load to support and don’t have the floor space, then the H300 series is the solution for you. The H300 series of hybrid storage systems are wall-mountable pre-configured solutions consisting of a H5001 hybrid inverter and 5kWh Lithium batteries (LNMC). 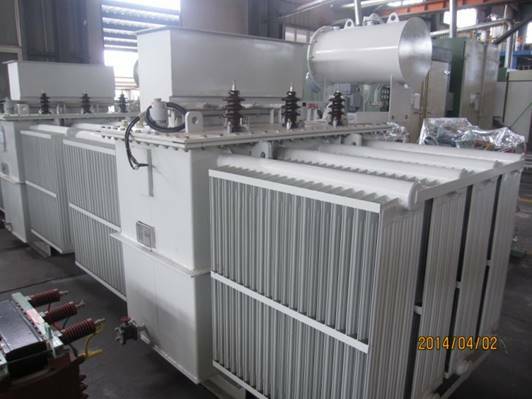 In this series, the H301 has a storage capacity of 5kWh and the H302 has 10kWh. 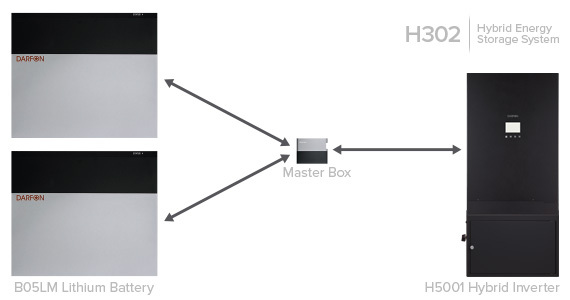 And if the need arises, the H301 can easily be upgraded into the H302. Protection Rating	NEMA 1 Indoor / IP20*All specifications are subject to change without notice. 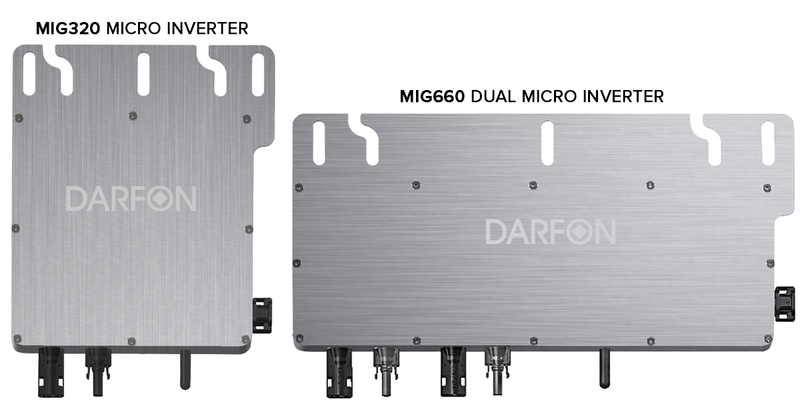 Darfon microinverters meet rapid shutdown requirements and connect to standard AC trunk cabling, eliminating the need of high voltage DC wiring that can carry up to 600V even without grid connection. 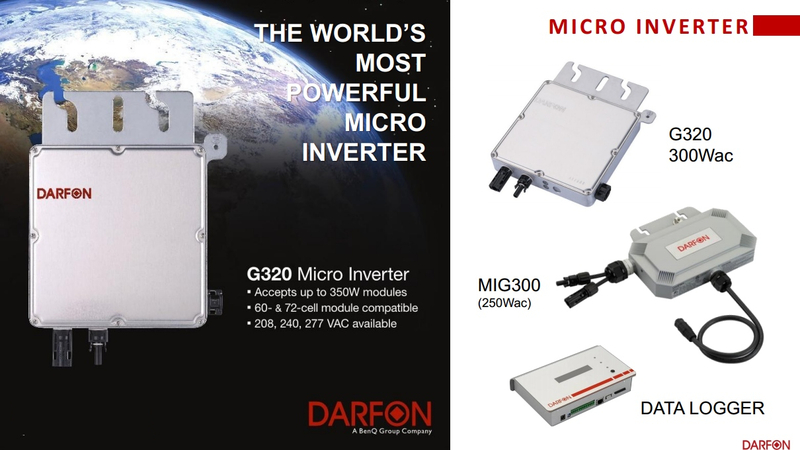 There is high degree of flexibility in designing and sizing PV systems when using Darfon microinverters. A 30A branch circuit can have up to 23 MIG300s or 19 G320s installed. 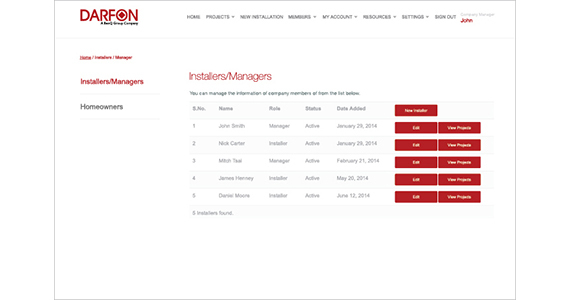 Even cabling type to be installed with the G320 microinverter can be decided by the installer. 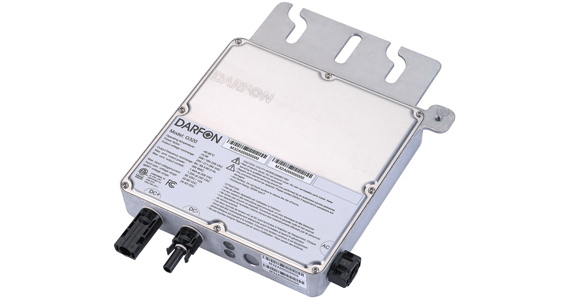 Darfon microinverters use standard AC trunk cabling that is easy to install and connect. The G320 and MIG300 have integrated grounding so there is no need for GEC. 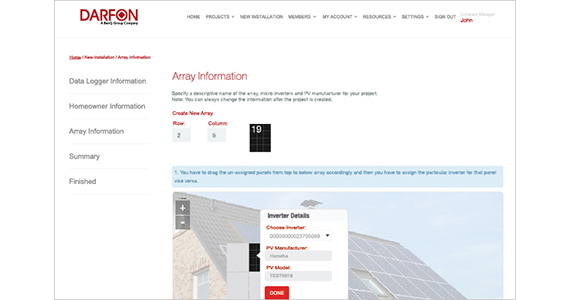 Darfon’s ACRak takes it a step further by pre-installing microinverters and AC cabling onto precut rails, making installation a snap. 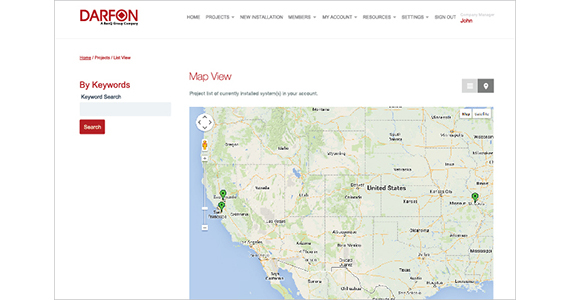 Darfon microinverters are auto-detected by the system, making setup on the cloud monitoring portal simple. 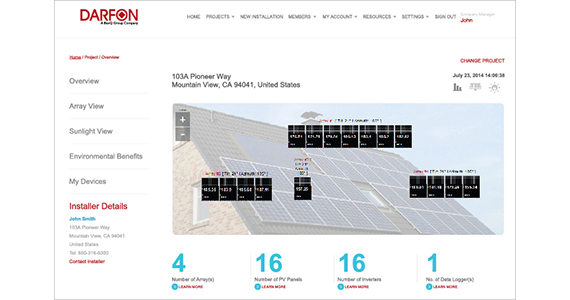 The monitoring system provides data for each inverter/panel, which makes it easier to locate potential issues and is accessible through a web portal, as well as, Android® and iOS® mobile apps.